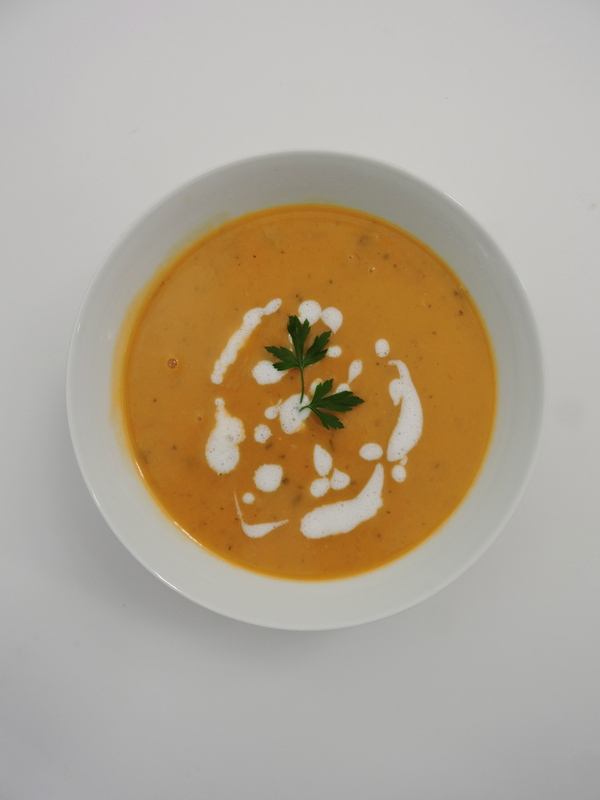 Vegan Coconut & Butternut Squash Soup Recipe. I’m so excited to share this recipe with you today, it is by far one of my favourites. 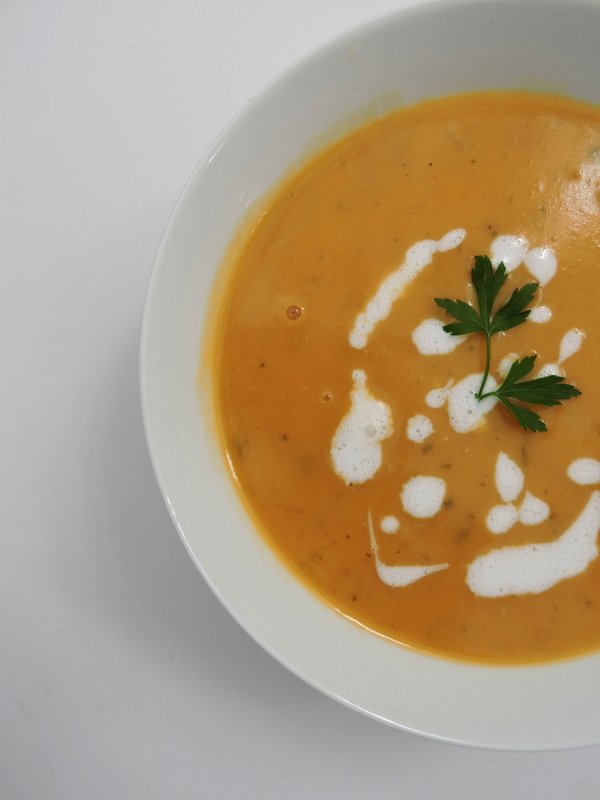 Before I go on I should say that I cannot take credit for this delicious soup recipe; my mom came up with this and although I’ve made a few tweaks, she’s the one that really invented it. Prepare all your vegetables. 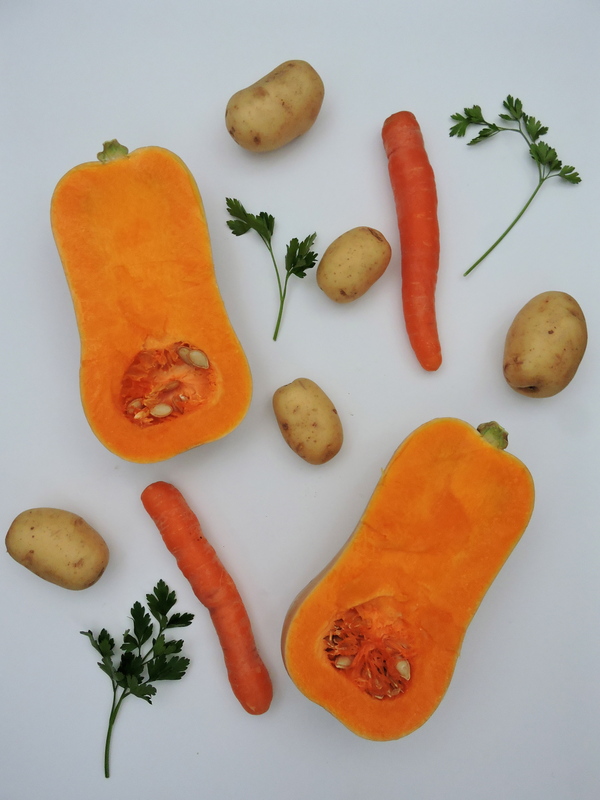 Make sure to cut your carrots, potatoes and butternut squash into small cubes in order to facilitate faster cooking. Fry your garlic and onion in olive oil. Keep stirring until they start to brown; add a little bit of water during this process if needed. Add celery, carrots, potatoes and butternut squash to the pan and let cook for a few minutes. Add in your parsley (chopped) as well as the salt, pepper and chilli. Add ~6 cups of water to the pan; make sure all your vegetables are covered. Add stock cubes and tomato paste to the pan. Stir in and cover. Allow the vegetables to cook for around 50 minutes. Stir occasionally. Once the vegetables are soft, take the pan off the heat. Using a immersion blender, mix everything together until smooth. If you are using a stationary blender, transfer the mixture to the blender and mix until smooth. Once smooth, add coconut cream and soy sauce to the soup. Place the pan back on the heat and let cook for another 10 minutes. Add some more salt, pepper or chilli if wanted. Let me know if you try this out and what you think! The Reason I Have Not Weighed Myself In 4 Years.